The childhood days are something which makes all of us nostalgic, specially the days in which we used to enjoy a lot. Festivals are a time when the whole family comes together and enjoy a lot. 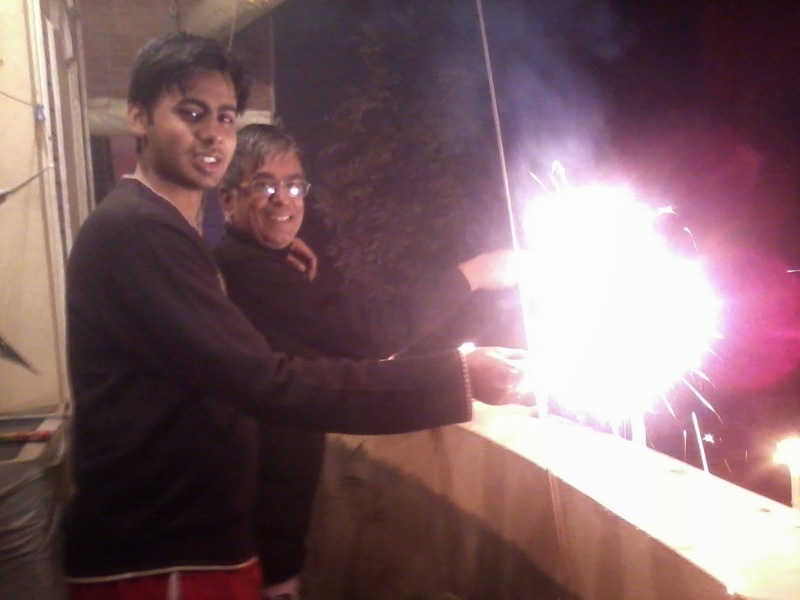 In my family, we used to wait for Diwali with lot of enthusiasm and excitement. There is a tradition of burning lots of crackers, having a wonderful puja in which even the neighbors are invited and then having a lots of sweets and snacks. My father always used to brag about how they used to spend Diwali in his young days. He used to tell all the kids that when he was young he and his brothers used to burn crackers the whole night and they used to be much more dangerous than the ones we burn. So, this information from my father used to work as a motivation for me and the kids in the house. During the childhood, neither me nor any of my cousins were busy in any work so all of us used to spend the Diwali festival together. This coming together of the whole family was one of the exciting thing of the festival as all of us could enjoy together. Celebrating the festival together used to increase the fun and happiness multiple times. We hardly get that much of time free these days and this family celebration has lost a bit of sheen because the whole family (joint family) can't come together. Another memorable moment from Diwali used to be buying the crackers. Me and my sister used to spend days making lists of the crackers we want to buy for Diwali. It was great fun to go and shop for the crackers. My father used to take us to the wholesale market, many years our cousins used to accompany us also. As a kid when you see so many crackers together, you actually become really overwhelmed and excited.We always used to end up buying more than what we wrote in our lists and my father always used to happily agree to our wishes.I felt that was the essence of the festival, not the buying of the crackers but going out to buy them with my father. During Diwali, we celebrate kali puja also. My mother used to do the puja aarti at home and then there used to be prayers for some time. After the prayers, we were distributed the sweets and snacks. Having the sweets meant the start of excitement. After the sweets, all the older member of my family used to burn some small crackers, which were burn to show respect to Maa Kali. Then we were given the crackers to burn. We used to start with small crackers in the evening and the most dangerous ones were left for last. Almost every year we used to get tired of burning crackers and some used to be still left in the morning.